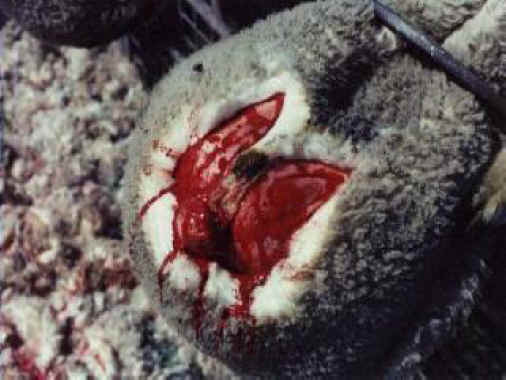 (Sheep and Lambs - Wool-01) This raw and bloody wound was deliberately inflicted upon this merino lamb, without anesthetic, in a barbaric practice known as "mulesing". This and the following nine photos were taken by Patty Mark. 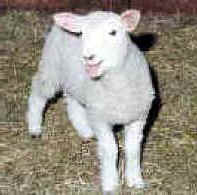 The information on mulesing was taken from a text by Coral Hull.